Our company has a single padding in the catalog. LOFTY is a natural cotton padding exclusive sold through us. 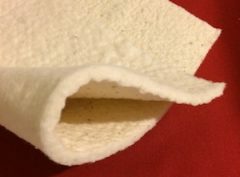 It is the only 1/4″ loft needlepunch padding. It will work well with the installation of our CES track. This drapeable product makes soft and even surface once installed under the fabric. 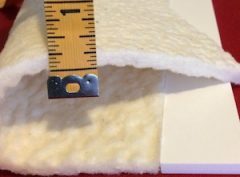 Visit the page to learm more on Lofty wall padding.